If you’re looking for a Nike cap, we have plenty at Hatstore. There are various different models and colors for you to choose from in order to find your new Nike cap in our selection. Among our Nike caps, you will find traditional and stylish models. 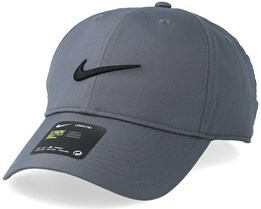 A cap by Nike is a timeless product. 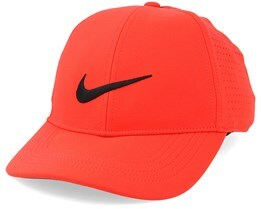 With the extremely famous and much-exposed logo, Nike caps are products that will always be popular. Nike is one of the leading brands in the sports industry, both in terms of clothing and equipment. Nike was founded in 1972 and started with shoes, which is still a very big part of Nike today. They are current market leaders and have sponsorship deals with some of the world's greatest teams and athletes. With a strong focus on design and development of new products in the sport, they are obvious choice in sporting goods for many. Their caps are a small part of their total range of products, but even so, Nike caps are very popular. Nike's headquarters are located in Oregon on the US west coast. This is where the Nike journey started. In 1964, the founders, Bill Bowerman and Phil Knight, founded a company called Blue Ribbon Sports, which worked in the import of shoes. In 1972 this business became Nike and its product range, brand and sales became a success story. The name Nike comes from the goddess of victory in Greek mythology. 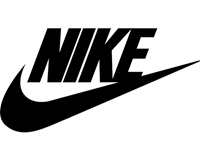 Their swoosh logo, seen in various Nike designs, was created by a design student at the start of the brand. The logo has become iconic on shoes and Nike caps. 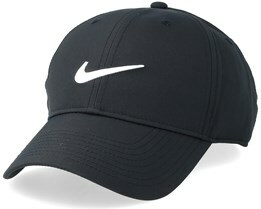 Anyone looking for a Nike cap, is often looking for a blank cap with the popular Nike swoosh logo. Thanks to their strong position in the sports industry, Nike caps have become stylish and timeless products. 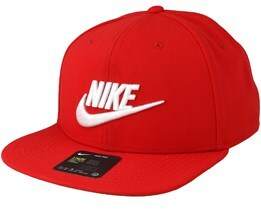 At Hatstore, you can buy a new Nike cap and get fast delivery and friendly customer service.